Just in for oil change... but no waiting... advised on what they checked over as well... no pressure for added service... just advised so made the experience enjoyable. "Those little extras make a big difference "
I brought my car in for a free service on a recalled part. I had asked them to check on a burned out license plate light that was being indicated. While the lights both actually appeared to be working they replaced them both for under $10. They also gave a complimentary wash and vacuum which was appreciated. This was my first experience dealing with Volkswagen Victoria service and it was very positive. "WE got the car we wanted"
We had a great overall experience with Victoria VW. Connected with Matt the sales manager, and he worked with us to come to an agreeable deal. We had a bit of a glitch when it came to financing, there seemed to be some confusion regarding whether our chosen car qualified for 0% financing, and when it didn't, it seemed almost impossible to find a way to get them the money in a time frame that suited us both.. But it worked out in the end, and we were able to get on the road in a timely manner. They were great. We did deal with a few different sales people, but it all went seamless in the end. Couldn't be more thankful for the great service they provided. Explained satisfactorily my annual service and what the status of my vehicle was. Thorough but not excessive. I wasn't left feeling that I had anything done I didn't need or want. 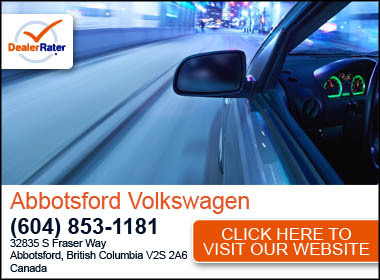 "I was very happy with my experience at VW Victoria, and in particular Michelle Passmore. This is the 5th vehicle I've purchased here, and I've always received honest and reliable service and advice. She was just going for lunch but took time out of her lunch brake to book us in and got us out in short order. Second to none customer service from Matt and the staff at VW Victoria. Thank you!! " "You want to deal here!" First trip to this dealer for service with my Passat. They got me in on time, out early, washed the car and the whole deal was completely painless. So to recap, got what I think is a great deal buying the car and now ecstatic about their service Dept......wow, the same thing can’t be said for other dealerships in Victoria that I have dealt with. "Right car Right price "